The Sun Dolphin Journey 10 foot Sit on Top Fishing Kayak is an economical choice for a fishing kayak. It won my vote for the best fishing kayak under $1000 and the best fishing kayak under $500! Sometimes it amazes me that this kayak comes in at under $500 from most retailer! It is lightweight and easy to carry and comes with three rod holders, two flush mount holders and one swivel holder. This kayak is stable and tracks well. It is an excellent choice for a cheap fishing kayak that gets the job done. For the angler who wants an hour or two on the water, this is a decent choice, but is not ideal for long days or multi day excursions. Keep in mind however, you often get what you pay for, this is a basic kayak, it does the job, but is not a $2000 model. But for those who do not worry about the bells and whistles and want a cheap kayak, the Journey 10 foot is perfect. You can click here to see the price on Amazon. 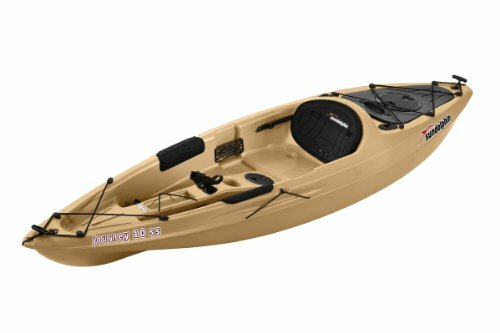 It made my list of the Best Fishing Kayaks because it is a dependable kayak and something you can afford is better than no kayak at all! 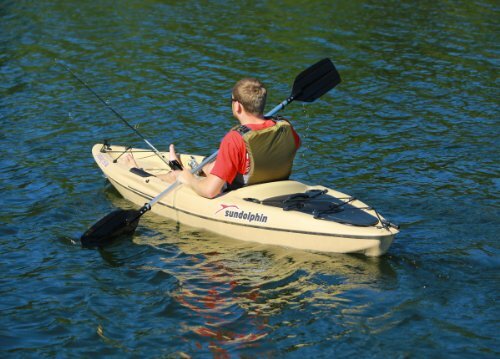 If budget is your main concern when looking for the best fishing kayak, go with theSun Dolphin! .